Hardly a day passes without salt entering our lives. Every other German housewife uses Bad Reichenhall salt on a daily basis. Bad Reichenhall's history is inextricably linked with salt, a commodity that - even today - is essential for the town's economy. The Old Salt Works bring history to life thanks to a fascinating tour that includes a salt museum and the giant brine pumps. The tour gives insight into the world of the salt production methods used by the former 'salt lords' who became wealthy thanks to the sale of 'white gold'. Today this 'gold' is sold all over Germany and found in other Inhalatorium European countries in containers marked with the name of the town, Bad Reichenhall. Though its general use may be understood as of a culinary nature, salt is also widely used as a healing agent. This fact may be confirmed by the millions of cure-takers who have enjoyed salt's virtues in Bad Reichenhall. 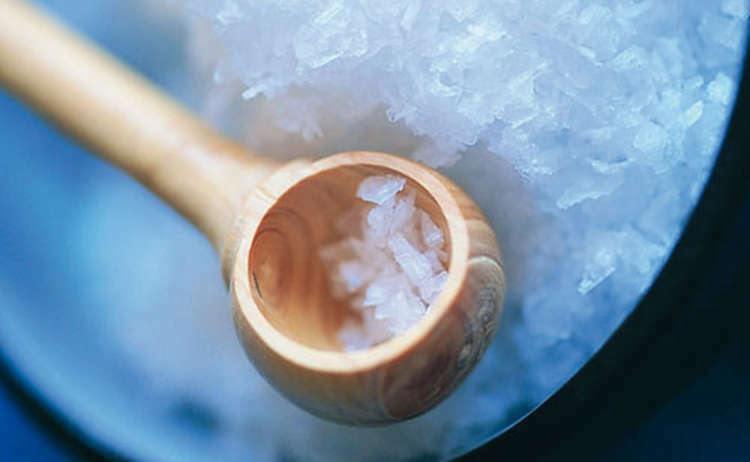 How did the medical field come to use salt as a curative treatment? It has been proven that the use of this natural therapeutic agent has developed hand in hand with the area's salt refining. Though brine was appreciated in baths in ancient times, the saltwater springs were used primarily to produce salt. It was thanks to seaside bath therapy that saltwater as a curative treatment returned to the alpine salt springs. Around 1800 saltwater baths were reintroduced into the local spa program. About four centuries prior to that date, however, several salt refineries tested the therapeutic qualities of their saltwater. One of the first believers was the physician and naturalist, Paracelsius (1493 - 1541) who spoke highly of the effectiveness of brine baths. In Bad Reichenhall it is the valuable healing treasure stored beneath the ground that contributed to the town's fame as a curative spa. The main source is the Karl Theodor spring to the south of town below Schloss Gruttenstein. The sources are tapped and pumped through a maze of shafts and galleries. The brine, saturated at about 23% of salt, is used mainly as bathing brine by the central spa (Kurmittelhaus) and by a number of spa establishments. The brine is then diluted according to the doctor's prescription. Brine is also used as inhalation therapy in inhalation rooms or individual inhalators. 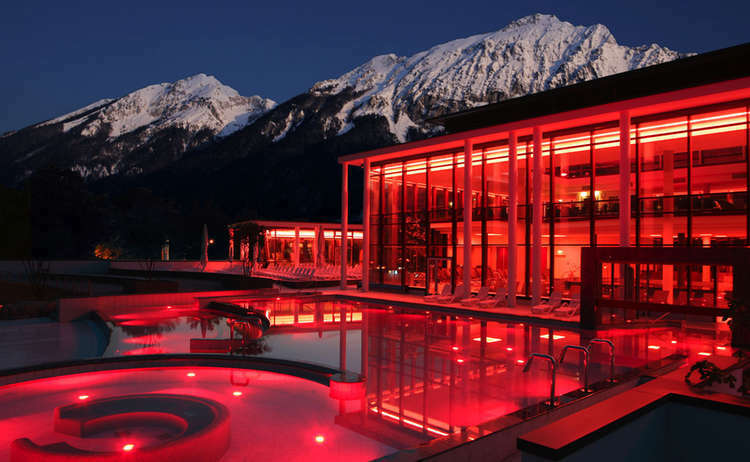 This type of treatment has helped make of Bad Reichenhall a well-known resort for treatment of respiratory disorders. Apart from baths and inhalation, applications include mud-packs, hosing and drinking cures. 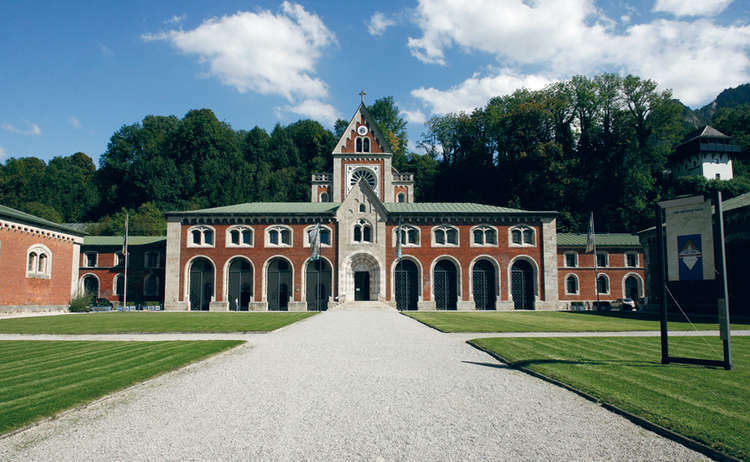 Another famed highlight in Bad Reichenhall's wide therapeutic spectrum is the 'Gradierwerk', an open-air inhalatorium. Formerly the refining process included the use of a 'gradient' facility to help raise the concentration of salt in the brine. This was achieved by allowing the brine to trickle slowly through a large mass of blackthorn twigs. The partial evaporation of water thus increased the salt content. This process has remained the same today and the Gradierwerk is set in the midst of the beautiful Kurgarten. 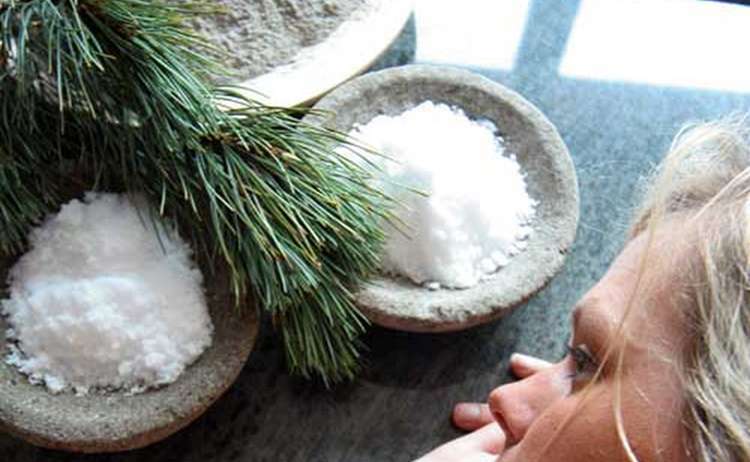 The air, laden with health-giving salt particles, is beneficial to the respiratory passages. The best results are obtained by spending an hour a day walking around, downwind of the Gradierwerk, while breathing evenly through the nose. Just two steps away from the Gradierwerk is another unique attraction: the park's large fountain is a fireworks of... salt water! Apart from the effectiveness of brine (which has been scientifically proven and still continues to be empirically evaluated in controlled clinical testing), this natural healing agent is superior to other medication: even though it is officially recognized as a medicine, it has no side effects yet is extremely beneficial. This is especially true of brine solution inhalations, the central treatment featured in Bad Reichenhall's physical therapy. Salt inhalations were effective in antiquity, they still are today. Local tourist offices can provide you with information about health through salt in the Berchtesgadener Land.